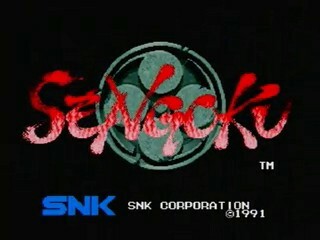 Released in 1991 by SNK, Sengoku is the first game of a trilogy of samurai themed beat-em ups. An evil warlord has awoken and is attempting to lay the world in ruins (his own gain from this is somewhat unclear). With the help of three playable characters (and a wolf) that you switch between in the game, you need to stop him! It involves fending off hordes of generic cannon food, undead warriors and fierce-looking bosses to only name a few.